Driven to explore the dynamics of plants, the Landlab team is based on a variety of diverse specialisations and know-how which interlock in a circular style where the information is constantly exchanged to gain the best possible result in the research. experiences that contaminate each other, a constant flow and exchange of information: we strive for the highest results only. Graduated in 1975 at the University of Padua in Agricultural Science. He began his career as technician and then as professional land planner. Currently he is the co-owner and R&D responsible of Landlab and his research field has widened to fertilizers and bio-stimulants. He is co-author in scientific publications on the subject of bio-stimulant products in agriculture. He promotes and maintains relationships with many research Institutes, Universities and private companies. His main goal is sharing innovations, researching, growing with people with different vocational trainings, with the only aim of working for stable, simple, efficient and low impact cropping systems. Accountant , she works in Landlab since 1993. In 20 years of experience she improved her knowledge in business management: financial, accounting and employees management. She is responsible of Landlab administration office. 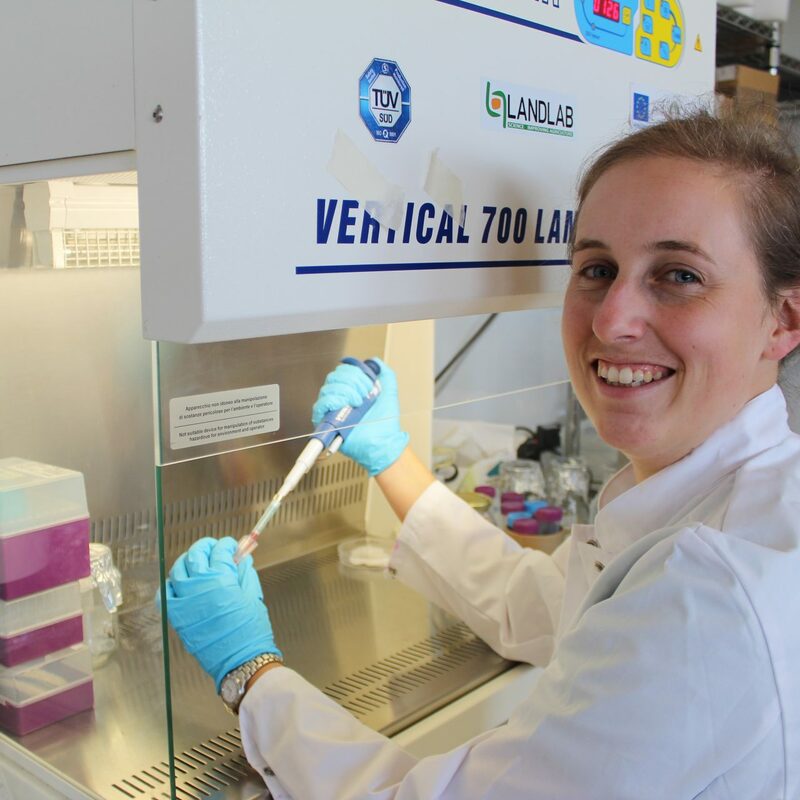 Graduated in 2008 at the University of Padua in LT Biotechnology; she is a specialized technician in agriculture, with a master degree in Biotechnology, with specific knowledge in the deep analysis of the physiology of the plants. Graduated in 2013 at the University of Padua in Industrial Biotechnology and finished PhD in Biosciences and Biotechnology in 2017; she is specialized in plant bioscience, environmental stresses and molecular biology. Within Landlab, she performs biochemical analysis and in vitro and in vivo experiments, also using model plants. Master degree in Environmental Science at the University of Venice (Italy) in 2012. Subsequently he carried on a phD project focused on the ecology, reproduction and conservation of some wild species (Orchidacea family). He successfully defended his phD thesis on February 2016. His main interests and studies concern plant auto- and sinecology, soil/climate-plant interactions, seed ecology and in-situ/ex-situ conservation strategies and techniques. Within Landlab he designs and performs trials to study plant germination and establishment, physical-edapic requirements, intra- and inter-specific relationships. Master degree in Agri-food Biotechnology at the University of Verona (Italy) in 2012. Subsequently she carried on researches focused on the characterization of cation transporter proteins in Brassicaceae family. Her main interests and studies concern plant mineral nutrition, especially the molecular biology aspects of the relationship between plants and essential elements, and their potential application through biotechnological approaches. Within Landlab she designs and performs trials to study plant physiology and to test prototypes of fertilizers and bio-stimulants. Master degree in Agri-food Biotechnology at the university of Verona (Italy) in 2013. Subsequently he carried on a phD in Biotechnology focused on plant manipulation of photosynthetic related genes in order to increase the light-biomass conversion efficiency. Afterwards he carried on a post-doctoral fellowship on plant genome editing (of gene) involved on photosynthetic apparatus. His main interests and studies concern plant photosynthesis, plant biochemistry, molecular biology and plant physiology with particular attention to the relationship between plants and environmental stress. 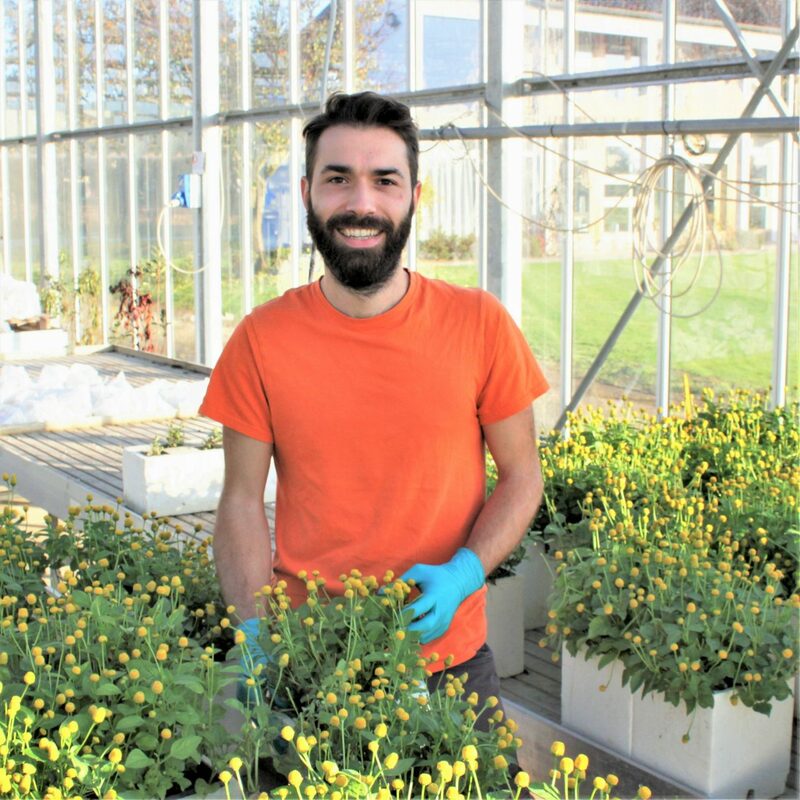 Within Landlab, he performs trials aimed to studying the plant response against environmental stress and testing prototypes involved on the plant protection. He graduated in 2012 in Evolutionary Biology at the University of Padua. Then, in 2016, he obtained his PhD in Evolutionary Biology with a thesis on intracellular mechanisms related to plant perception of environmental stimuli. As a careful observer of the inputs given by the natural environment, he is dynamic and proactive in different working environments, such as plant care and management. 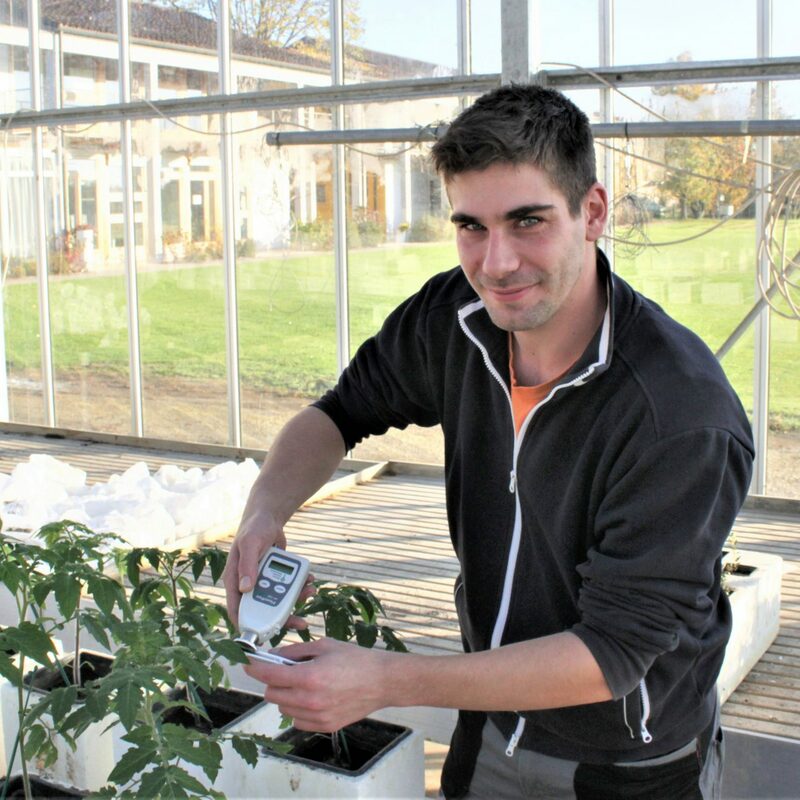 In Landlab he assists on the execution of trials and evaluates the results, with particular interest in plant bio-stimulation and plant-microorganism interaction. Graduated in Environmental and Forest Technologies on the 26th October 2017 at the University of Padova. He discussed an experimental thesis about seed production’s analysis of dry semi natural grasslands, after a tassonomic and hydro-geological characterization of these kind of habitat in south Vicenza. This work was part of a larger project about ecological greenery of the Padova’s University. He is an expert technician for development and construction of mechanical and electronic systems and tools for the carrying out of the applied research. In Landlab since 2010, he is a support in the installation of the experimental trials as well as their maintenance and assessments. He is an expert technician for the development and construction of mechanical and electronic systems and tools for the carrying out the applied research. Graduated in 2006 at the University of Padova with a degree in Landscaping Parks and Gardens. Trials assistant and digital image analisys exec. She works as a Trial manager assistant and performs the experimental trials. Graduated in Agricultural Sciences and Technologies on the 25th February 2016 at the University of Padova discussing an experimental thesis on the effect of two phosphatic fertilizers over the assimilable forms of phosphorus and over the Hypericum moserianum growth in open field. In Landlab he performs the conduction of the open field and safe environment experimental trials. Graduated in Vegetal Production and Defence at the University of Padova. 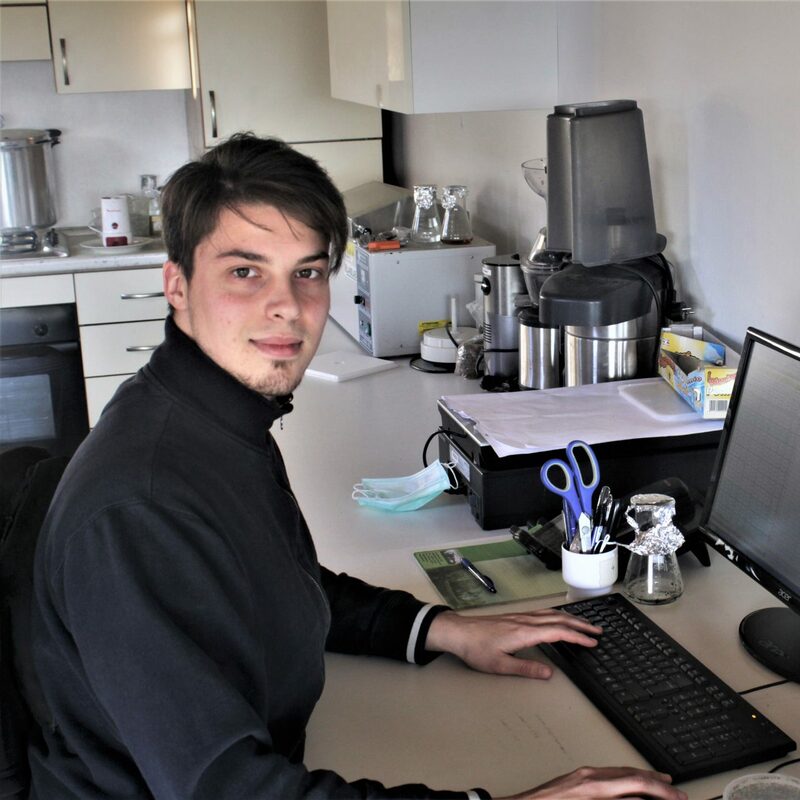 In Landlab since 2015 he works as a Trial manager assistant where he performs the experimental trial conduction in particular within the nutrition and defence sector. Master degree in Design and Management of Urban Green Areas and Landscape at University of Pisa (Italy) in 2016; he discussing the thesis on the use of unmanned aerial vehicle to estimate nitrogen status of turfgrasses. His main interests and studies concern turf management, in particular the selection of turfgrass with better performance, drought resistance and nutrient use efficiency. Within Landlab he performs and maintenances experimental trials, especially in the turf sector. Accountant and trading expert, she works in Landlab since 2016.